Snap personalised printing can easily change a newsletter, brochure, letter or postcard into a targeted piece of communication. Using your client database, we can print your clients' names and addresses directly onto your letters or postcards. Instead of writing 'Dear Valued Client', you acknowledge your clients individually, personalising the message with their first or last name. Clients feel they're receiving individual attention and response rates are much higher, as much as 15 times higher! 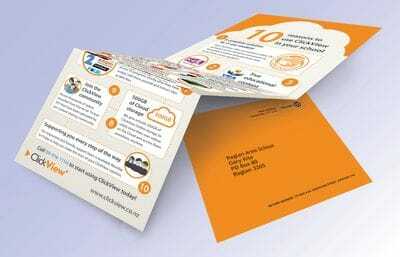 A personalised direct mail campaign can be complemented by a personalised email campaign. As well as the name and address, we can also vary the text and graphics of your direct marketing piece for a truly individual message. To find out more, see your local Snap Centre below.